The legislature has sent Governor Jay Nixon (D) a proposed $620-million a year cut to income taxes, and Republicans are considering whether enough votes to override a veto are in reach. Nixon has 15 days to act on the bill (SB 509). He could sign it, allow it to become law with no action, or he could veto it as many Republicans anticipate he will. Nixon called an evening media conference shortly after the House vote and didn’t say he would veto the bill, but hinted at it. Nixon vetoed a tax cut proposal last year and 15 House Republicans voted with Democrats to sustain that veto. 104 lawmakers voted for the tax cut proposal Wednesday, with one Democrat siding with Republicans. 109 votes would be needed to overturn a veto and 7 lawmakers were not present for the vote. Backers say the legislation would let Missourians keep more of their paychecks and that would lead to a stronger economy. Nixon and opponents say the reduction in state revenue threatens state programs and services, particularly education. The timing of the passage means that if Nixon vetoes it, lawmakers could have a chance to attempt a veto override before the end of the session. 11 of the so-called “flimsy 15” stood with House Republican Leaders in an apparent show of caucus solidarity ahead of debate, and likely a vote on, Senate tax cut legislation this afternoon. 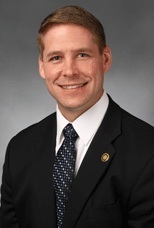 The House has taken up Senator Will Kraus’ (R-Lee’s Summit) legislation, SB 509, for possible passage to Governor Jay Nixon (D). It would cut income taxes by one-half percent over several years beginning in 2017. The “flimsy 15” was what a pro-business lobbying group called 15 Republicans who voted with Democrats last year to veto a proposed income tax cut. One of the most vocal opponents of last year’s bill was Representative Nate Walker (R-Kirksville), who called that legislation “flawed” and said he had to do what was right for his constituents. Walker says he was not coerced to stand with his caucus’ leadership today. “It was my choice to be there and I support [Kraus’] bill,” Walker tells Missourinet. He says the lawmakers among that 15, 14 of which are still in the House, met after the veto session and talked to House Republican leadership about their concerns. Gov. 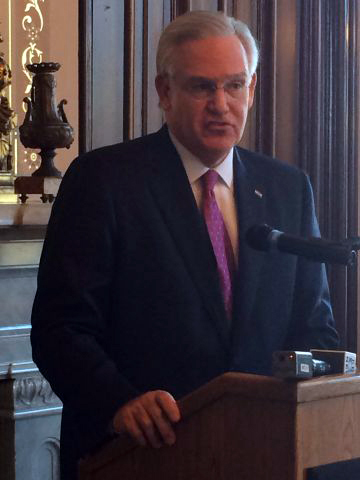 Jay Nixon says he’s working with legislators to pass a bill that cuts taxes for working Missourians. Nixon vetoed a tax-cut measure last year, saying it would have imperiled funding for K-12 education. The legislature failed to override that veto when two Senate leaders voted with Democrats in opposing the override. Nixon says he will not sign a tax-cut bill unless it contains certain, clear-cut provisions, including fully funding elementary and secondary education. He’s also calling for an end to corporate and special-interest hand-outs. “If we’re going to cut taxes, I want it done the right way, in a way that protects investments in our classrooms and gives a break to folks who really need it,” he said, adding that he’s had productive discussions with lawmakers, including Sen. Will Kraus of Lee’s Summit, on crafting a tax-cut measure he’ll approve. And the Governor says he will not support what he calls “tax gimmicks” that reward creative accounting instead of a hard day’s work. Nixon said he’s told leaders in the House and Senate that if a bill gets to his desk that violates any of those principles, he will not hesitate to veto it. Kraus said the agreement will provide broad-based tax relief to the people of Missouri and protect funding for our public schools. 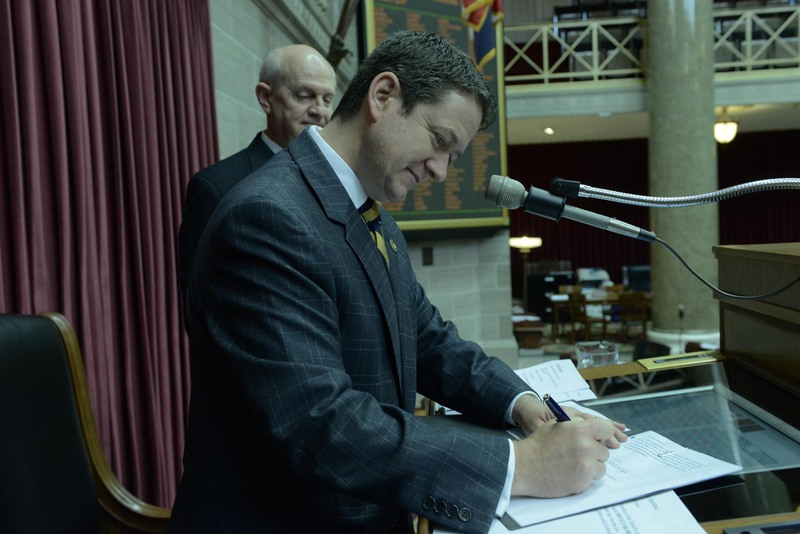 “The principles upon which this agreement is based – fully funding the foundation formula, reforming inefficient tax credit programs, and giving working Missourians a tax cut – provide a solid framework for a bill that members of both parties can agree on” Kraus said. Kraus said his bill would provide a .25 percent reduction to the individual income tax rate effective only after the K-12 foundation formula is fully funded and only after $200 million in revenue growth. The legislation would provide an additional .25 percent reduction to the personal income tax rate effective after legislation is enacted to reduce low income housing tax credits to $110 million annually and historic preservation tax credits to $90 million annually. A Senate Committee has endorsed two proposals for a tax cut for individuals and small businesses that legislative staffers say would cost the state about $900-million a year if fully implemented. The two bills would reduce personal income taxes from 6 to 5 percent over 10 years and grant a 50 percent deduction from small business owners over 5 years for business income reported as an individual. The cuts could begin next year if general revenue rises by 100-million over the highest total from the past three years. The legislation would also give an additional $1,000 tax deduction to people with incomes under $20,000 regardless of whether state revenue continues to increase. Governor Jay Nixon (D) responded to the passage with a statement re-iterating that he would not sign anything that he thinks takes money away from schools. He tells legislators they must choose between cutting taxes or funding schools. The Revenue Department can no longer scan personal documents from applicants for drivers’ and non-driver’s licenses, under a bill signed into law by Governor Jay Nixon. Senate Bill 252 also orders the Department to by the end of this year purge its computers of all copies of those scans made since September. Some scans will continue in instances specified under the legislation, however, such as for commercial driver’s licenses. The bill took effect immediately upon being signed by the Governor. Revenue Department representatives have twice testified under oath to legislative committees that if the Governor signed that bill, such scans would cease. The sponsor of that bill, Senator Will Kraus (R-Lee’s Summit), says that doesn’t put all the issues regarding those scans to rest, however. He says state lawmakers will continue investigating why those scans were started in the first place and whether they were part of an effort to comply with the federal Real I.D. Act. A 2009 state law exercised Missouri’s option not to participate in Real I.D. Revenue Department employees have testified that the scans were started as part of a new, third-party system for issuing driver’s and non-driver’s identification that they say would help to combat fraud.